Day 8 of the $3.10 Poverty Challenge began with feeding myself on the Word of God with a continued study from Women of the Bible. I was challenged to imagine what it would have been like to be the mother of Moses and the choices I’d make in her place. As I experience this $3.10 Poverty Challenge trying to imagine myself in the place of the poor, I am reminded of how difficult it really is to put yourself in anyone else’s place. Today’s ministry appointment was with Magareni Preachers Organization. 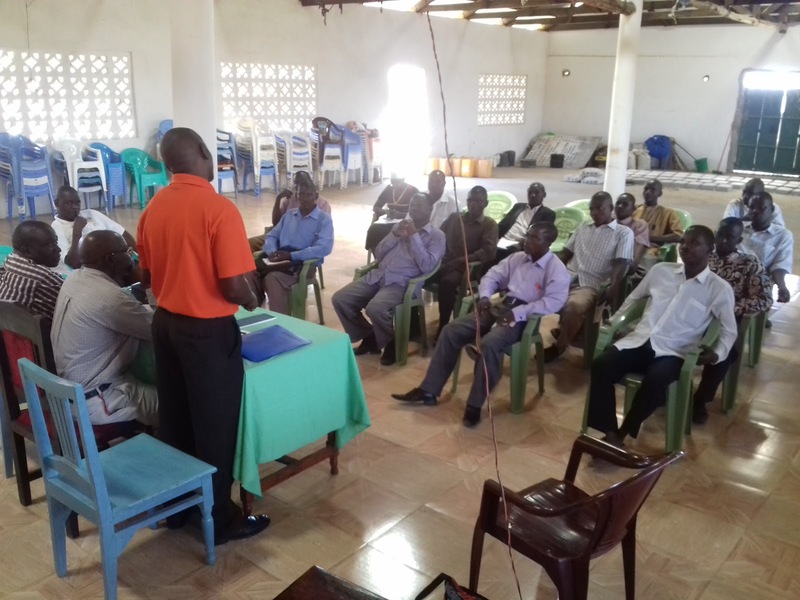 This group of village pastors formally organized themselves with the hope that they could accomplish more together than apart. Pr Ephantus serves as the secretary and has been telling them about Surprised by Hope for some time. Today I was invited to join him in introducing our ministry. These pastors were very appreciative of our offer and commented, “I’ve never heard of any ministry like this before” in a way that was a bit like a joyful exclamation. Their one question, “When will you come?” I thank God for the many opportunities he provides to serve his people. I began the day with $2.20 and spent $1.70 on transportation and 0.18 on SMS messages. I remain with 0.32 for today’s dinner. I have a handful of flour leftover that might not quite reach 0.32 and when coupled with water can make a crude chapatti. I still have two tomatoes and two onions from several days ago that will make a nice katchumbari salad. Yum.